Working in the nave of Chester Cathedral is a challenging but exciting venue for Newcastle-under-Lyme based arts and entertainment specialists PH Production Services Ltd.
PHP won a contract to provide production services for the 2018 staging of the historic Chester Mystery Plays. With 16 performances between June 27 and July 14, the Chester Mystery Plays are a challenging assignment for the PHP team led by Managing Director Peter Herbert. “Our job is to ensure that all the design is delivered within a budget and on time,” said Peter. “We liaise with the artistic team – the director, the playwright, lighting designer, sound designer, set and costume designer and others, and arrange for all the sub-contractors who build the sets, supply and deliver the various items, such as sound, lighting, seating and the sets, to make the whole production work. The Chester Mystery Plays is just part of the busy summer season for PH Production Services. PHP is the production company behind the Appetite programme of arts events in North Staffordshire. The next large scale Appetite event is Voala Station, an outdoor show performed against the night sky at Central Forest Park, on Friday and Saturday, 27 and 28 July. This is followed by the Big Feast in August with scores of arts activities in the city centre. “PHP also has been tasked to work on Newcastle-under-Lyme events such as the Ashley Fest, which celebrates the town’s links with Philip Ashley, founder of the modern circus. Based at King Street Studios, Newcastle, PH Production Services Ltd is a team of dedicated professionals delivering projects on time and within budget with safety as the highest priority. Peter has worked across a wide range of arts and entertainment roles over more than 30 years. 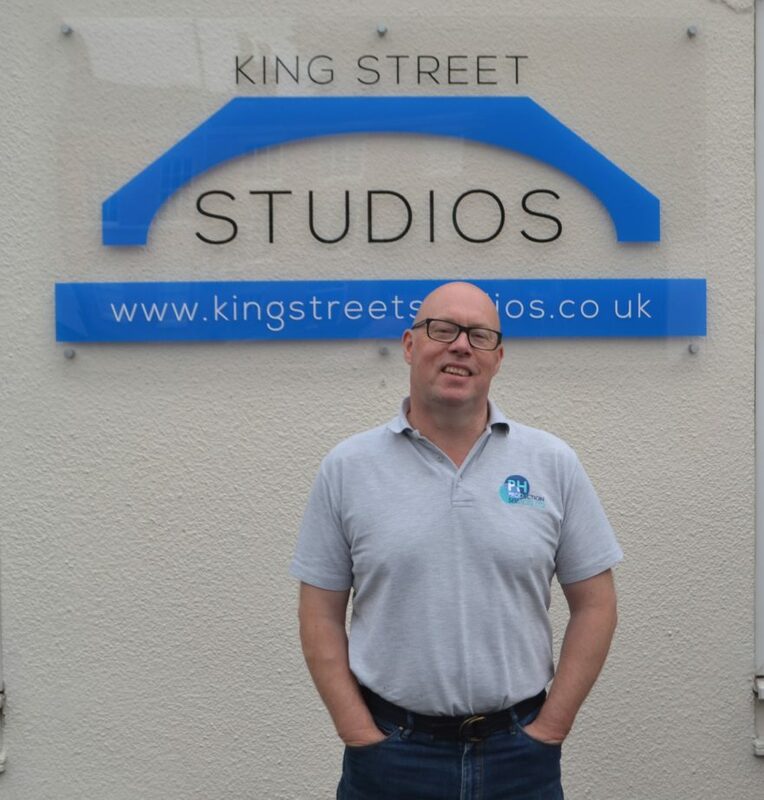 He established PH Productions in 2000 and the company is now based at King Street Studios, Newcastle-under-Lyme. To find out more about PH Productions please go online to www.phproductionservices.com.